TWO PRODUCTS THAT ACTUALLY WORK FOR MY SENSITIVE SKIN! Good morning everyone! Hope you are all well! As we all know.. ladies.. the time of the month can sometimes effect our skin and for me, these last few months I've seen some changes. Now normally my skin is pretty good with handling that time of the month, however, I've been through a lot of stress which has caused me to break out and my skin has become super dry. More dry than normal and i felt like I needed to get this under control! I have two specific products that I have been using within my skin care routine to tackle the problem and heck! it's worked! I usually apply this serum at night as I feel I can leave it to soak a little longer and give my skin a pamper! This little beauty is the LaCure BEAUTE Paris - Multi benefit rose cream gel. This little detox in a tube has made my skin super soft and absorbs into the skin quite quickly. The smell is rose but it's not overpowering HALLELUJAH! I found the serum to be quite light weight which is amazing and I'm not a big fan of thick gels. This felt like hydration to the fullest and I'm super happy to have this within my routine! 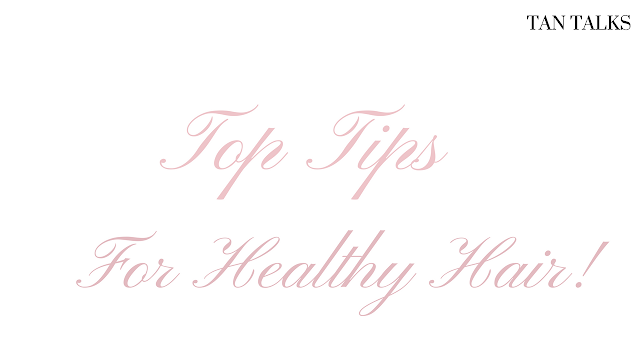 Other tips to help skin hydration! * Keep hydrated. Now this tip is underestimated and I was one of those people who never really use to drink water. My skin, lips and hair became very very dry but still, never use to drink water. This step is super important not only for your skin, hair, nails but your overall health. Water helps flush out the toxins and I've seen a difference in how clear my skin has become even during the time of the month. * Keep to a skin routine with products that are tailored towards your skin type. Years ago, I used to walk into a shop, see a product and use it within my routine once and disliked it because I found it was tailored for oily skin. Now not only is this a waste of money but it's also a lot of time investing into products that do not work for you. I know first hand finding products that work for you takes trial and error, but it may help by taking a look at the ingredients to see if they are going to suit your needs and your goals. Some products I've used in the past have been tailored towards acne which made my dry skin even worse and I never suffered with acne! Look for products that you know won't cause any problems for you and work with them. FED UP OF NOT BEING ABLE TO USE MUD MASKS BECAUSE OF SENSITIVE SKIN? I may just have a solution! I haven't used a mud mask for a very long time after taking a dislike to them being quite thick and not enjoying the texture it left on my skin. However, as I've experience a few break outs due to stress I wanted to try them out again and see if this would change my mind. I was shocked with the consistency of this product as it is a mud mask but it feels more like a thin-medium cream. This is excellent as you can build up the amount you want to suit your needs. I tend to leave this mask on for around 10-15 minutes. Most mud masks that I have tried in the past tend to dry so you know when to then wash it off. I personally don't like products like that specially with my dry skin because it made it worse. This product however doesn't do that at all. It dries slightly but it doesn't dry to the point where it cracks and you can't feel your face ( you girls know what I mean.. maybe even men!) The brightness of my skin is down to this product hands down. I tend to not put this product around my nose as I have broken capillaries which this can irritate, however, this is what I avoid with all products. If you have tried mud masks in the past which has dried your skin out then this is definitely one which I would recommend because it feels more like a thick moisturiser and leaves your skin feeling super hydrated. I'd love to hear if you have used these products or what products have been working for you in the comment section below! 3 TIPS THAT HAVE MADE MY HAIR GROW FAST! Hi Beauties! I thought after a while of taking a break from my blog, I'd come back even better than last time and share with you these three quick tips that have helped my hair to grow! Now if there is any topic that I research quite often it would definitely be hair care! After my second pregnancy, I started to notice some fall out and my hair became weak and fragile. I will put my hands up, looking after two small humans is a challenge and I can be very busy, meaning that hair care was the last on my list to look after. Life in general can be quite hectic as most would agree, so we tend to focus our mind on other priorities. Over the last two months I have made three EASY changes to my routine which require MINIMUM effort, which cmon, easier the better right? I feel adding these three simple changes has made a huge difference on the strength of my hair and they have now become a part of my routine that I can do without taking up much time in my busy day. Lets get on to the tips! This handy hack has become one of the easiest transitions in my hair care routine which is brilliant because it's a tip that you don't need to think about, you just go to sleep and let the benefits work their magic! For years I used to use cotton pillowcases until I realised that silk has hypoallergenic properties which provides a natural resistance to mold,fungus and dust mites (gross). The properties made from silk can help prevent friction on the hair, helping to prevent split ends! P.S make sure the pillowcase you purchase is 100% silk. For years I have used a normal rubber hair tie to keep my long hair at bay and without knowing it, it has secretly been damaging my hair and ruining all the other ways that I have tried to prevent dehydration, split ends and breakage. Back in school I used to use a scrunchie until I felt too old to rock the trend any longer. Am I the only one? Doing some researching into this, I realised that although we all loose around 100 strands of hair a day due to the normal life cycle of our hair strands, more started to appear as soon as I started to regularly use rubber bands. My hair always used to be caught and I noticed that my ends were starting to break more easily. To think that all the steps I was taking beforehand to prevent breakage and then to use a rubber band straight after my deep condition, I was pretty much reversing everything I was trying to prevent. The old school scrunchie has definitely come back and is staying! I feel that there is less pull on my hair and hardly any fall out due to the soft material that the band is made from. Such a small change and a big difference on my hair! Also...they are super affordable and cute! I never used to be the one to worry much about how I styled my hair at night. I use to either just leave it down or tie with a rubber band in a bun and I'd be good to go! I started to notice that whenever I used to take my hair out of the band, my ends used to be so brittle and dry! I felt that I should improve my hair care with products, didn't bat an eyelid to think about protective styles at night. So you can imagine..I used to spend so much money on preventing damage with the use of products, to then reverse all my efforts without realising it by wrapping my fragile hair in a bun with harsh rubber, creating friction and still was left confused to why it wasn't working. There are SO MANY youtube tutorials for so many hair types to help you create the style that works best for you, your hair and your routine. These styles can be so easy to add into your routine with minimal effort and time. I now either put my hair in a high bun so my hair is out of the way and secure with a scrunchie, or I do a quick 30 second plait to the side so all my hair strands are tight and together which helps prevent friction against the many turn overs I do at night! These three tips are super easy to incorporate and I have noticed that as I have been taking more care of the condition on my hair, it has been easier to grow! So a win win situation here! TOP 3 BEST SKIN CARE TIPS YOU NEED TO KNOW! I recently conducted a poll to see the posts you guys would like to read more about and it was lovely to see so many of you participating and wanting to read more on skin care! 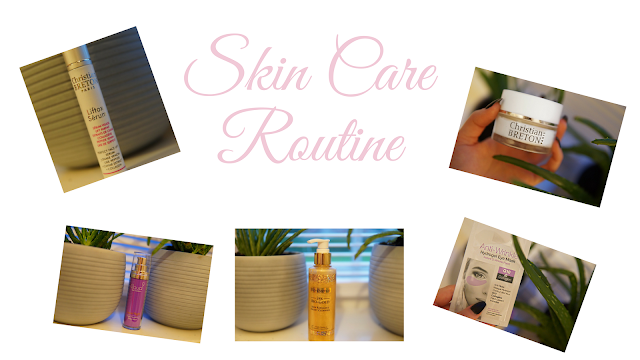 I do a lot of posts on my blog regarding skin, including advice and all round helpful tips so go check out the variety of posts on my page and I hope they help! One thing I noticed from the poll this time round was that a few more males were keen to know more about how they can help their skin and I hope anyone of any gender can take my tips away and introduce them into their routine. I love writing about skincare, I feel very passionate about it as I personally notice a huge increase in my confidence! Going back a few years, I used to be the girl who would never leave the house unless I had a layer of foundation on. Over the years through reading self help, motivation books and creating a routine that has allowed me to feel comfortable being bare faced the majority of the time has really helped. So I hope you find some help from the following tips. If you guys have already read my other posts, you'll know how much I stress about the importance of a good routine with products that work for you. However, no matter how good the product, the quality, quantity used, if you don't keep in mind the basis aspects of contamination then it can either greatly improve your routine and skin or it can adversely make things worse. How can this be? If you think of how many surfaces your hands touch, you'll realise how much bacteria we actually carry around with us through just our hands alone. If you think about that bacteria touching your skin, it may make your skin crawl and if it did then you'll realise the slight change in preparation before any skin care routine will make all the difference! I always make sure I wash my hands throughly before they even touch my skin. I feel a lot better about continuing into my routine and wash my face, knowing I have eliminated as much bacteria as possible to stop it from getting in contact with my skin. I even sometimes go to the extent of applying alcohol gel to my hands and letting it dry to ensure my hands are clean before I start. After I am done with applying my cleanser and have washed my face with water, I ensure to pat my face dry using a fresh clean towel and then throw it into the washing machine straight after use. This kills any oil or dead skin cells (gross I know, but true!) that has been transferred from my face onto the towel. I believe the perfect skin care routine is one where you've been through trial and error and have found the perfect products for you. Trust me when I say I have been through so many products to try and find the right routine for me and thats just it, finding a routine that works for YOU. If you find products that work perfectly fine, then carry on with what you feel comfortable using. Social media plays a huge role in marketing and theres so many products on the market at the minute that sometimes it's a little overwhelming. Trial them out, see if you can pop into a store to get a tester or if not, buy a small/travel size instead, one: it will save you money if the product doesn't work out for you and 2: you won't be wasting a lot of product if you use it once and end up never using it again. My last and final tip and probably one of the most important tips out of everything I have ever told you guys. If you are really struggling with your skin, there are people to help you! Only take this tip if it resinates with you. 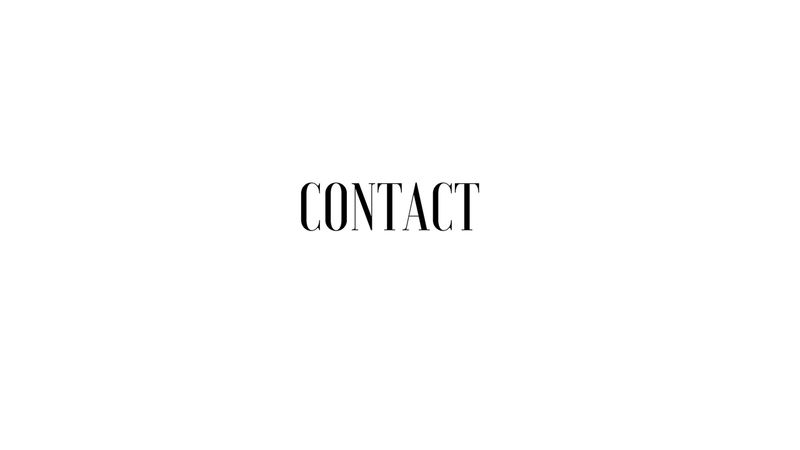 Take a minute to book an appointment to see a dermatologist as sometimes, people try everything they can to help their skin and maybe need products prescribed to them in addition or in replace of those in their routine. One thing I found helpful when determining what products I needed to include in my routine was using a Skin Care Diagnostic Tool - I used the one that is presented on the Clinique website. Even if the brand isn't one of which you want to use in your routine, this test really helped me look at my skin from all angles and determined what skin type I had and what kind of products I needed to start using to help with the problems I had. I really hope these tips have helped you to be more informed about the different things you can introduce into your own routine, if they have please leave a comment below id love to know! "Beautiful is knowing you are one of a kind" - unknown. Changing My Skin Care Game With This One Product! So ever since the cold weather, I've had to take extra care of my sensitive skin because if your skin is anything like mine, if you don't keep on top of your skin care then you'll know the struggle to get it back to it's normal managable state. If you haven't read my previous skin care posts then just to give some background information, I have dry/sensitive skin which is not prone to breakouts. This skin combination can however be an absolute nightmare and for those who can relate, I've got you! I tend to exfoliate my skin twice a week to get rid of any dead skin cells, which sounds absolutely gross, but if you could see the amount that actually comes away, you'll too want to introduce a good routine. In the past, I used to love a good scrub exfoliator because of the satisfaction of feeling that my skin is completely clean. However, scrub based exfoliators or those that have grain type ingredients took quite a toll on my skin. I started to notice that my skin started to become even more sensitive, dry and I suffered from quite a fair bit of redness due to the irritation. Up until this point I was clueless on choosing a good product that was gentle on my skin, which still gave me the same results and satisfaction of a typical exfoliator. This is when this little gem came into my life. The Christian Breton Age Priority Lotion Exfoliante. Oh boy did this change the game. This is a liquid based facial exfoliate which the texture is quite comparable to a general toner and it has NO ALCOHOL! Win! I apply this to a cotton pad and gently massage it into the skin, leaving it to soak for 2-5 minutes to ensure it has enough time to work it's magic. Once applied, there is a slight tingle sensation to skin which is quite a satisfying feeling as I feel it's bringing all the dirt to the surface of the skin. As I have sensitive skin, this lotion is very gentle on the skin which is great if you are used to the harsh ingredients in a general scrub exfoliant. After the 5 minutes is up, I simply wash the lotion off with warm water ( option 2 would be to apply warm water to a cotton pad and remove the lotion), both work great! I have been using this product for the past two months and have dramatically seen a decrease in the redness of my skin. My skin also looks very refreshed and 'awake' which for someone who survives most days on little sleep, it's great to look as though I've had more hours sleep than I have. 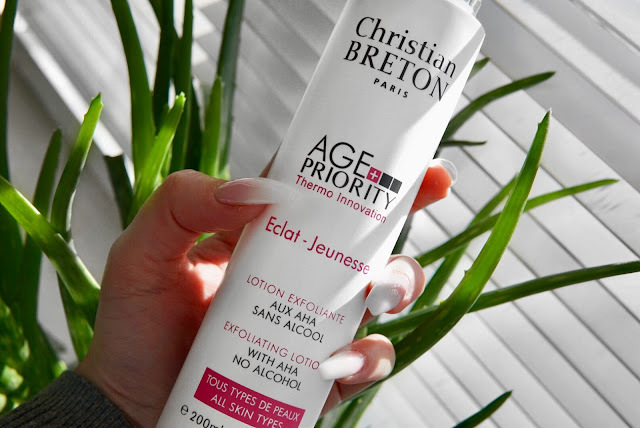 • Fruit Acid: Thanks to its "peeling" effect and its action on cell renewal, it helps to smooth wrinkles, to blur the pigmentary spots and irregularities of the skin - Christian Breton Website. This product is aimed at all skin types which is amazing! The only thing I found is that because I have super dry skin, my skin feels slightly tight and dry after use which is to be expected if you are removing layers of dead skin cells from the surface. However, I tend to jump straight into a good hydrating cleanser and moisturiser and the moisture is returned. I would definitely recommend trying out this product for yourself as it's definitely made a staple in my skin care routine. Product retails for £19.20 currently on the LookFantastic website! Have you tried this product? Comment your thoughts! Disclaimer: Some products mentioned may have been gifted as a PR product, however, I have not been paid to review, I am not sponsored by the brand and all views remain my own. Brighten Your Look And Get Ready For Summer! I'm back with another blog post and I've been dying to show you this foundation! For the days where I want to feel that little bit more fresh faced, to show off my " no makeup makeup", to make a statement but also feel that my makeup enhances my features in a natural way, this product can do just that. Do you guys ever have them days? For all my girls out there who suffer with dry skin, girl I feel you. I've suffered with dry skin for as long as I can remember. Finding a foundation that isn't liquid but also doesn't make me look cakey, however still has the right amount of coverage has been a struggle. Although my skin has been taking a positive turn, I still love a coverage throughout the year! This here is the Laura Geller Baked Balance -N- Brighten Foundation. I have two shades Fair and Porcelain. This is a compact baked powder foundation which offers the most beautiful coverage. 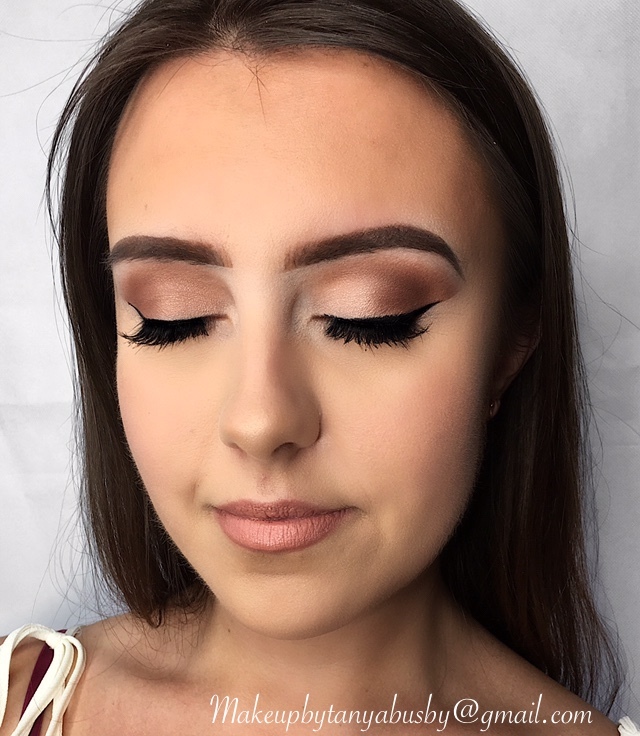 The foundation itself is made with unique blend of different shades to both compliment the skin tone as well as brighten it. There is nothing I dislike more than to finish my makeup and my skin to feel and look dull. This foundation will provide a coverage which is both light and offers good coverage for days where you want your skin to look like skin but have just that slight enhancement and glow. As you can see from the image above, with just one swatch I was able to pick up quite a good amount of product which provides great coverage. The shade swatched above is 'Fair' and is perfect for those who are fair and have pink undertones. This compliments the skin so well without feeling like you have foundation on. The perfect thing about this foundation that really drawn me in is the fact that I can customise how much coverage I want. This foundation is buildable to suit your preferred coverage of a powder foundation and is amazing for " no makeup makeup days". The foundation is compact and travel friendly which is perfect for the days where I may need to touch up during the day without the fear of glass bottles smashing in my bag. It also comes with a mirror which saves more room in the makeup bag for sure! The texture of the foundation is slightly chalky, however when applied to the skin it doesn't feel like that at all. It blends seamlessly into the skin when applied with a light hand, building coverage to where needed. The shade 'Porcelain' swatched above as shown has amazing coverage whilst also giving that brightening effect! I personally love this shade for when I am tan free as it compliments my fair skin tone quite well. This is definitely a favourite of mine. It has no scent which is quite nice as some of my liquid foundations, such the MAC Stuido Fix Fluid, if ever you have smelt it is quite a strong and overpowering at times. With this, this is perfect, specially for the upcoming summer months. Comment below if you have ever tried this foundation and what you thought! I'd love to hear if this has worked for you. * Disclaimer: This post features products which have kindly been sent, no reviews have been asked of me and I have not been sponsored to do this post. All views remain my own and are honest. 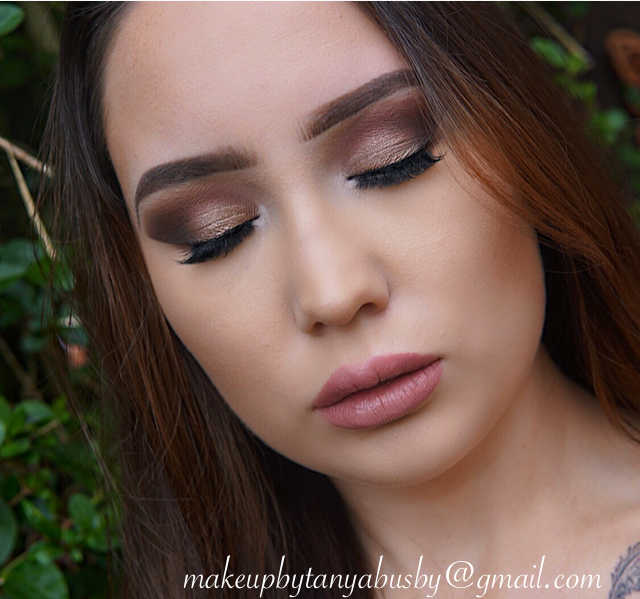 My name is Tanya and I am a Youtuber and Blogger, I test out makeup and skincare products, provide TIPS AND TRICKS that make beauty that bit easier! Nothing makes me feel more happy than proving YOU with the best advice and makeup products from drugstore to highend to make YOU feel confident. 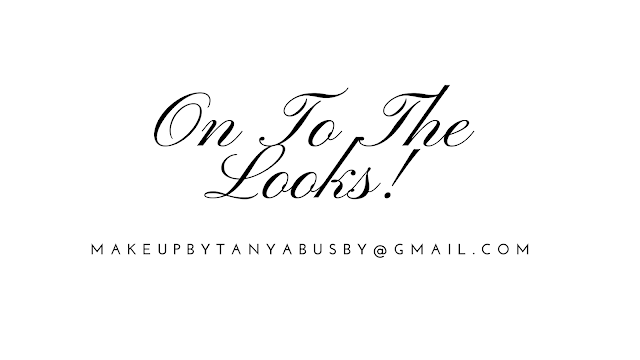 Be sure to follow my Social Media Channels to all the BEST tips and looks! 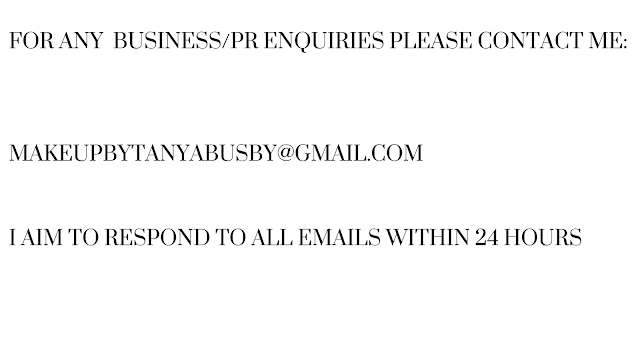 YouTube - Tanya Busby YouTube Channel! 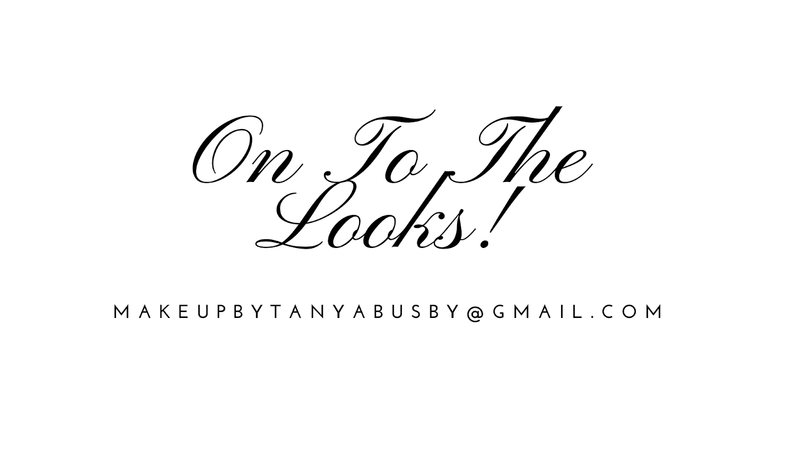 <------ Please Subscribe here If you want the latest looks, trends, advice and tips for all things beauty, skin, makeup! This year I have really focused on my skin care and I find that a lot of people have noticed, particularly If you follow me on my social media channels. I have a lot of comments on my skin and questions on how I keep my skin looking flawless. I will be telling all of my secrets on my Youtube Channel so please go subscribe! So to make it easier for you to get the answers you are looking for, This post will refer to the products that are currently working for my skin and my Youtube Video ( part 2 ) will be up soon to discuss my 5 TOP TIPS FOR SOFT CLEAR SKIN FOR EVERY SKIN TYPE! Yes, EVERY skin type! So to kick start our skin journey, get out your notepads or jot down on a piece of paper why you clicked on this post? What was you hoping to find out? What are your skin care goals? Once you have them answers then you know exactly what you need to focus on to get your skin back on track and feeling more confident. This could be trying to figure out how to get softer skin, how to manage dry skin? how to manage environmental effects? There are so many different things that people want to work on and each person may have one goal to start with and that's perfect, go at your own pace because hey, it's not easy to start new habits but once you stick with it you'll find those habits start being apart of a normal routine. For as long as I can remember, I have suffered from dry skin. I'm quite lucky that my skin isn't severely dry, however, it's dry enough to interfere with some foundations. If this sounds like you or you are looking for new products to test out then this is the blog post for you. I've been using this cleanser at night to really help my skin recover from the day, whether that be from my makeup or from the harsh wind, sun and everything on the topic of environment. I've found that this cleanser glides on smoothly to the skin which has a soothing effect. It creates a small amount of lather that works into the skin to remove any excess makeup or dirt on my skin at night. 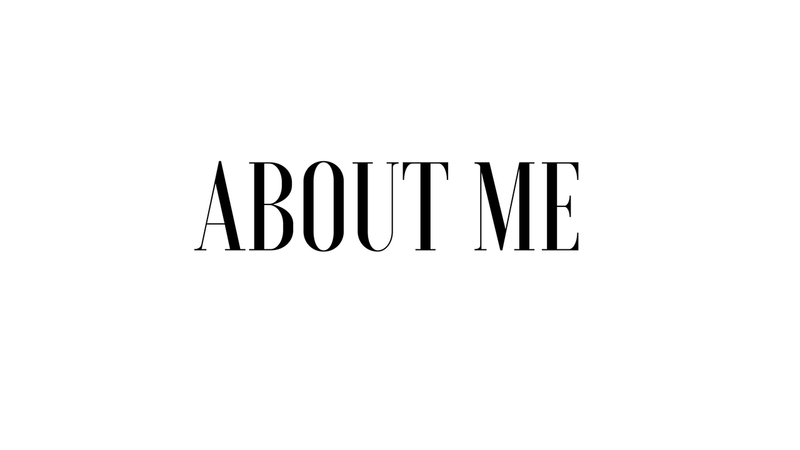 Each product that I mention may work differently on different people, I will only mention products that are currently working on my skin, with the hopes that you find something that catches your interest because it's taken me 23 years of trial and error and thats okay! I'll be talking more about the importance of using a cleanser in my routine more on my YouTube Video! This is one product I now can't live without. After years of, being honest, not taking much care to protect my skin from forming wrinkles, I've took a serious turn to try and prevent them now. If I can save myself treatments in the future by helping to protect against the cause in the first place then this is where my motivation comes from. This serum is on the luxury side of the budget, however the ingredient's make up for it. Containing snake venom like peptide, caviar extract and collagen, this serum gives me my youthful look. So why caviar? Apparently, the omega-3 and omega-6 fatty acids have been shown to reduced inflammatiion when topically applied, however please do your research to determine whether you want to add this into your own skin care routine. I have been using this every day for 3 weeks and so far I have noticed that my skin looks more radiant and firm which hasn't made my skin feel uncomfortable and is one of the products that I will continue to use! I use to be terrible, probably one of the worst people for not using face cream. I never used it growing up and in all honesty, I didn't think it would make much difference to the appearance of my skin. Oh how I was wrong! Specially with my dry skin.. around winter.. can you imagine? I use this daily, twice a day, morning and night. I am absolutely in love with the formula of this face cream, it's quite thick in texture but it absorbs so well into the skin. After 10 minutes my skin feels hydrated and that's luxury for any of you out there who suffer from dry skin like me! The smell is quite pleasant and I find it's like a drink for the skin. If you want to find out more how I got on with this, please comment below! If I haven't gone on about it enough, you probably would have guessed that I never used a sleep mask, ever. I thought a night cream at the very maximum would be absolutely fine for my skin. Until this little gem came into my life. This is a product that I apply on top of my night cream! I even use this sometimes throughout the day if my skin needs that bit more hydration. This little beauty is something I won't forget to apply at night because I've seen such a difference in my skin since using it. This gem gets to work whilst you sleep so as soon as you wake up, your skin thanks you and you don't need to do anything more. This is such a brilliant idea for those of you who need a simple but effective routine. All more reason to buy it as a special gift just in time for Christmas and you can even share the secret by gifting it to someone close to you. Eye masks? Now I'm hoping I'm not the only one to only just put this into my routine, surely? I only ever used to use face masks and didn't think much of using anything more and plus I felt like this extra step might not make much of a difference anyway. Until I started to realise that with face masks, the eye area is un touched, I started to think about how neglected my under eye area had become. These hydrogel eye contour masks are the perfect way to treat the under eyes once a week and the road to hydrated eyes becomes easier. These are perfect because they can be kept in the fridge for personal preference to add to the cooling effect. This feels like giving yourself that salon pamper treatment but it's in your own home, even better. I started using eye masks as I started to notice lines after testing out a new concealer, sparking the thought that I really do need to start looking after my skin, besides, a great routine definitely makes the difference of the overall makeup look. I have many compliments on my skin care without foundation which makes me feel much more confident, so take care of your skin and your skin will thank you in return. Don't forget, part 2 on my tips and tricks for clear and bright skin will be on my YouTube Channel soon so please subscribe to be the first to get notified! Please bare in mind that the products that I have mentioned are the ones that have personally worked for me and my routine, results may vary for different people so take time to test what works for you and your skin. *disclaimer - some of the products mentioned may have been gifted, this post however is not sponsored, I have not received any money and views and thoughts are 100% my own. YouTube - Tanya Busby YouTube Channel! <---- Please Subscribe If you want the latest looks, trends, advice and tips for all things beauty, skin, makeup! Hello to all of my beauty lovers! 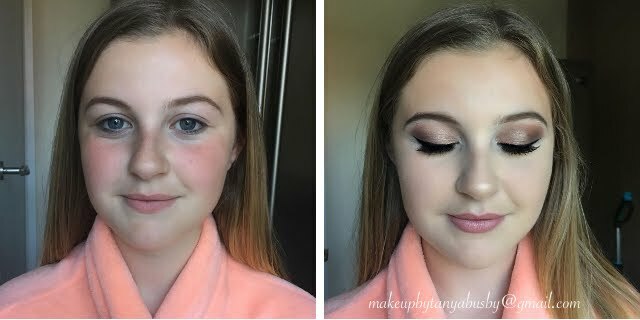 My name is Tanya and I am a Youtube and Blogger, I test out makeup and skincare products, provide TIPS AND TRICKS that make beauty that bit easier! Nothing makes me feel more happy than proving YOU with the best advice and makeup products from drugstore to highend to make YOU feel confident. 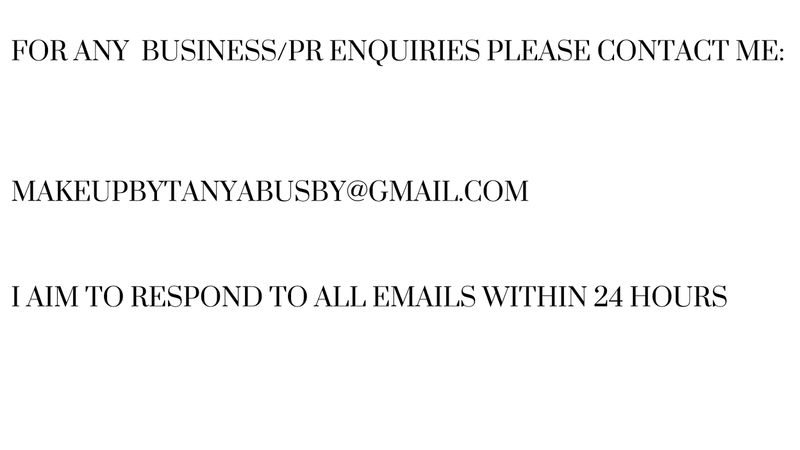 YouTube - Tanya Busby YouTube Channel! 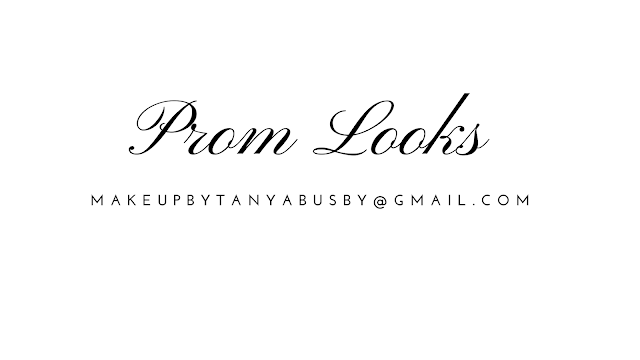 <------ Please Subscribe If you want the latest looks, trends, advice and tips for all things beauty, skin, makeup! I'm excited to be getting back into my blog after so much focus on getting the ball rolling with my Youtube Channel! Today I'm going to be talking hair. Now if you are anything like me, my hair is my pride and joy. When it's styled right and feels amazing, my confidence instantly grows! I'm like a new person. After going for a drastic change in my hair, I actually went blonde! My confidence grew but my hair took all the damage. What made things worse was feeling that I wanted to go even more lighter as I found myself plastering my hair with bleach and hair dye after.. in one sitting. Now I know what you're thinking, why?! I'm spontaneous. If I have an idea in my head, I want it done there and then, without really thinking of the consequences. And oh how my hair took the consequences. I found myself crying in the bathroom ( wish I was lying ) whilst pulling the brush through my hair, watching chunks fall to the ground. I know, my mistake. Luckily my hair is quite thick so I wasn't left with major long term consequences apart from the unappealing dryness as the shine was utterly removed that I took so long to have. So after years of trial and error I have put together my top tips to restore the hair's shine and health, no more wishing for perfect hair when you can be on the right track to having the hair you've been lusting over on Instagram, I was the same! Although hair dye isn't really your best friend in the healthy hair department, it sure helps if your hair is in fairly good condition before you decide to change your look! Focusing on restoring your hair to the softness you've always wanted is a woman's dream, but how can we do this on a budget? I have always believed that the skin, hair, mind and soul can really be nourished from the inside out. If you think of it, if your taking care of your body by eating the right things and incorporating vitamins and minerals into the diet, it really does 'shine' through. I know personally that I can tell when I need to drink more water by the dull and tired face and hair staring back at me in the mirror. I have definitely noticed a difference not only in the length of my hair, but through the condition of it when my body is hydrated. It's like your body is rewarding you. If the body feels good, it will show on the outside. If your lips are dry, the thing I tend to realise is that they are dehydrated and I head for the kitchen to drink as much as humanly possible. If my hair is dry, I think the same. As well as hydration, it's particularly important to make sure we have enough vitamins and I'm probably not the only one who doesn't get enough of my daily vitamin intake! Opt for a multivitamin, they even come in chewable gummy form which makes taking care of my hair even easier. Now I'm not saying I'm perfect at always looking after my hair because let's face it, life gets in the way and these days I'm falling asleep at 7 o'clock. But after seeing the damaging effects from the environment and added bleach, I've taken the time to really look after my hair on the outside as well as inside. There are a lot of hair masks out in todays market as well as DIY'S so theres such a variety to choose from! From the years of trial and error, I've learnt to purchase/make hair masks that target the key desirable outcomes that I really need. My hair is super dry, so opting for hair masks that contain either honey or say on the label ' for softness' is vital in my hair care routine. I tend to leave deep hair masks to do their magic from anywhere between 30 minutes to overnight! If I'm in a hurry, 10 minutes is better than no hair mask at all because theres nothing bad about adding some kindness to your hair. I never really thought about the effects on my hair from just heading outside until having soft hair in the morning and battling to get it out of a hair bobble at the end of a rainy day. If you think about the damaging affects on our skin, we can start to see how this kind of damage can have on our hair too. One of the worst things about this factor is that it is quite difficult to control the environment, however, using the steps above will combat the damage it has. Taking care of your hair by protecting it from the environment ; using buns, protective hair styles, using silk pillow cases, head scarfs and tucking the ends of our hair away from the wind pressure can all help. So wouldn't it be great to have a product that does all three key steps in one? These are the products that have changed my hair game. The Lee Stafford Mud Mask. This beauty has been an absolute hair saver. This hair mask is from the deep sea which is full of salts and minerals to deeply moisturise, strengthen, repair and rejuvenate the hair. I use this mask religiously as it's one of the few hair masks that I can use without weighing the hair down. This mask can be used for even the shortest amount of time ( 5 minutes) and still the hair can benefit from all of the goodness. I use this mask twice a week now and I can say it has definitely reduced the damage from the bleach as it leaves my hair silky soft after. I am completely in love with this mask as it not only leaves my hair soft, it also smells amazing! If you have ever smelt Lee Stafford products then you'll already know how great this smells. It's one of the few hair masks that I have tried that actually leaves the scent in your hair after you have washed it. I can comb through my hair without pulling half of my hair out because hair is much more easier to manage if it is detangled. Still not convinced? Head into your local Superdrug or Boots and give it a smell, you'll be walking away a happy woman.. or man! If you have been active on social media for a while, you'll remember everyone raving about coconut oil. Bad day? Coconut oil. Bad skin? Coconut oil. Life hack? Coconut oil. Now even when this trend was going ( still going ) I have used cold pressed coconut oil in the past and always wondered why it didn't work for me and why my hair ended up hard like cardboard. Maybe it was the way I was applying it? Maybe it just didn't work for my hair? Maybe it was a mystery. After many years of analysing my hair type, I was finally able to understand my hair type more and target techniques and products that work for it, instead of using products that work for other hair types ( I have another post on this.. ' how to grow longer healthier hair' ). Even after finding the technique to make coconut oil work for my hair, I found myself having to wash it 4 times after applying, even then my hair looked like 'second day' hair. For years I stayed away because of how high maintenance it was to use it. However, The CoCo LoCo Hair Oil is one of the first hair products I have used that still has all of the benefits of coconut oil but in a light spray. I was shocked that I even liked it after having such a troublesome time with coconut oil in the past. This product acts like a sealant to the hair which is amazing because it makes the top 3 tips above easy to achieve with this one product. If you think of it, once you moisturise the hair and have restored it back to life, how do we keep this goodness in? This is where the CoCo LoCo spray comes in. This spray will protect the hair from the environment, keeping in the moisture by stealing the hair strands. Think of it as a coat for the hair. This product will act as a barrier between the hair's moisture and the harsh environment. Even better when it's light, doesn't weigh the hair down and smells absolutely amazing. I use a small pea size amount which is enough product to coat the ends of my hair. It's a product I will continue to use. Let's share the love and tweet or tag me in your hair posts if you are using these products! Thank you for reading and I hope these tips have helped! Happy hair day! * Disclaimer - I was kindly gifted the two products mentioned, however this post is not sponsored or paid for in any way and my own views remain 100% honest.